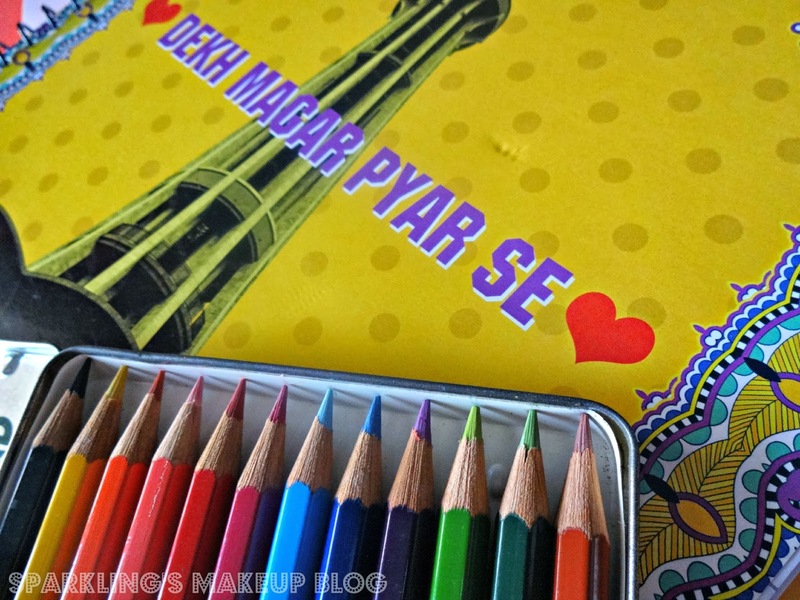 9Lines adding colours to Stationery and accessories! I am not a student anymore, but still a site of a colourful and unique piece of stationery item makes me go Crazy! and if you haven't seen the creativity from "9Lines" yet, you are definitely going to agree with me. The feeling is so Desi yet classically Elegant!!! To Reveal More Read More!!! No one can imagine how crazy I went on seeing 9Lines website. After drooling over their products I even sent them a message on their Facebook page, that "where were you guys when I was in University?" lolz. I am a maniac, collector, lover, hoarder of stationery. Yes before having a big makeup stash I used to have a great collection of stationery all being gifted by relatives living abroad. unfortunately I never used much of it, just for the fear of loosing them or breaking them. I still have bags full of colour pencils and different stationery placed at my Mom's home. 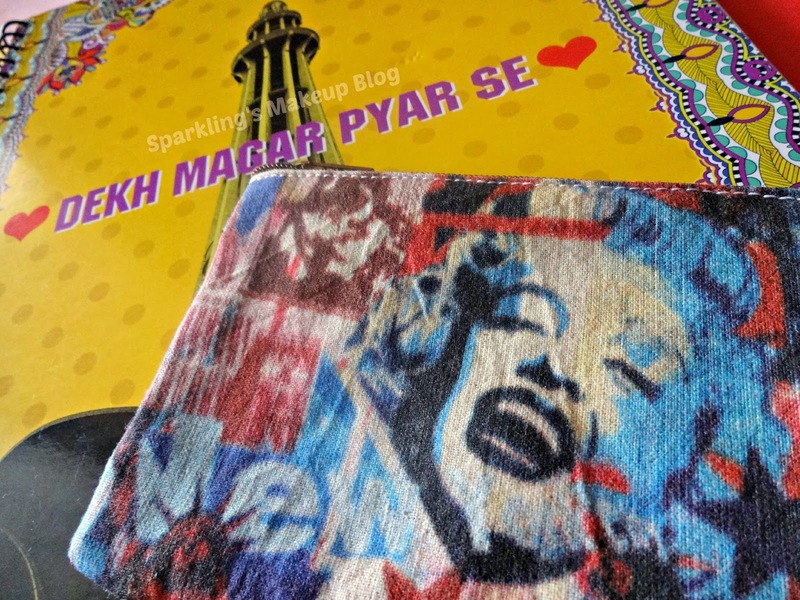 Well the day I received my Desi Pop: Dekh Magar Pyar se Notebook and Marilyn Monroe New York Ease Bag, 9Lines creativity just popped that Huda in me who was excited to see new stationery, as much excited she gets on her makeup hauls, now. 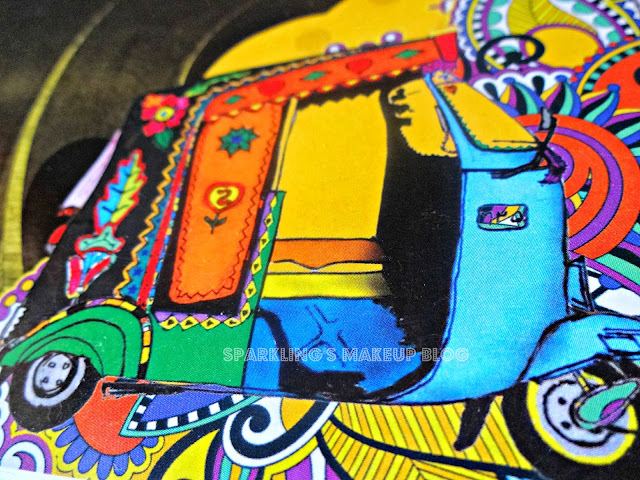 Let's Review the Desi Pop Dekh Magar Pyar se Notebook first, I was so amazed on seeing such a flamboyant colour designs on the notebook, peculiar to Truck Art, total Desi, singing Punjabi beat "Sanu wee lay chal naal way! Baoo sohni Gaddi waliya!!!" The picture of Minar-e-Pakistan the monument of Lahore and that pure Desi Tag line: Dekh Magar pyar se... and those two beautiful Rikshaws going sideways, lolz you got me! 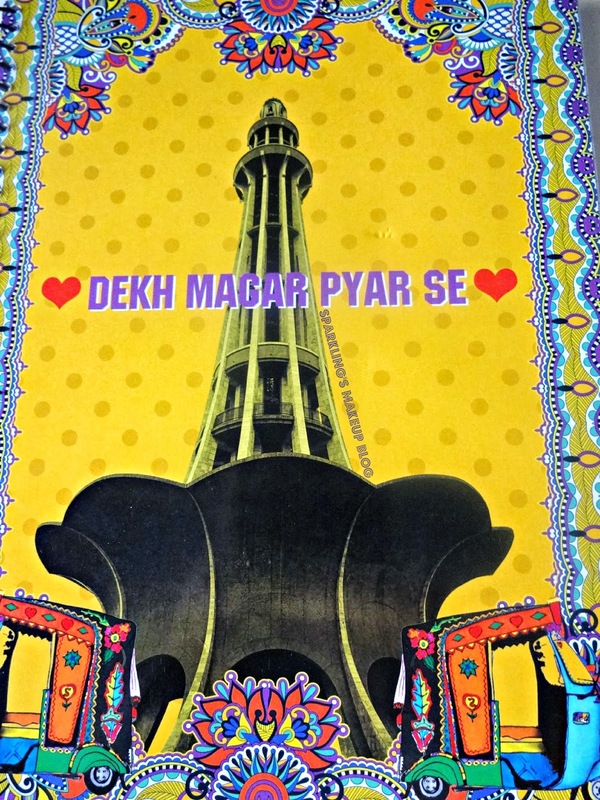 It has all colours of Desi pop in it yet its not over-the-board, you know what I mean. 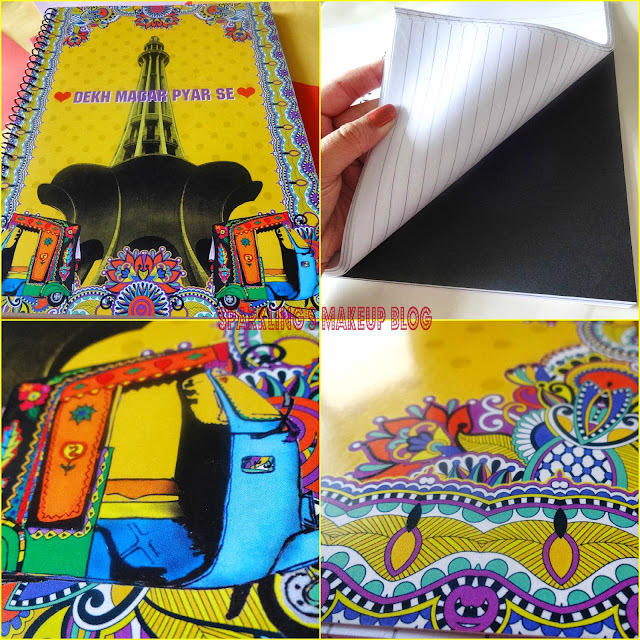 It is 11.5 x 9 Inches and has 200 pages, both sides ruled, with partitions made with black sheet, so you can divide your notes into 5 sections :) Worth: Pkr 600/- There are many beautiful covers to choose from ranging from Patriotic Desi-ness to Hollywood classics. This Notebook really enlightens my True Desi Soul!!! 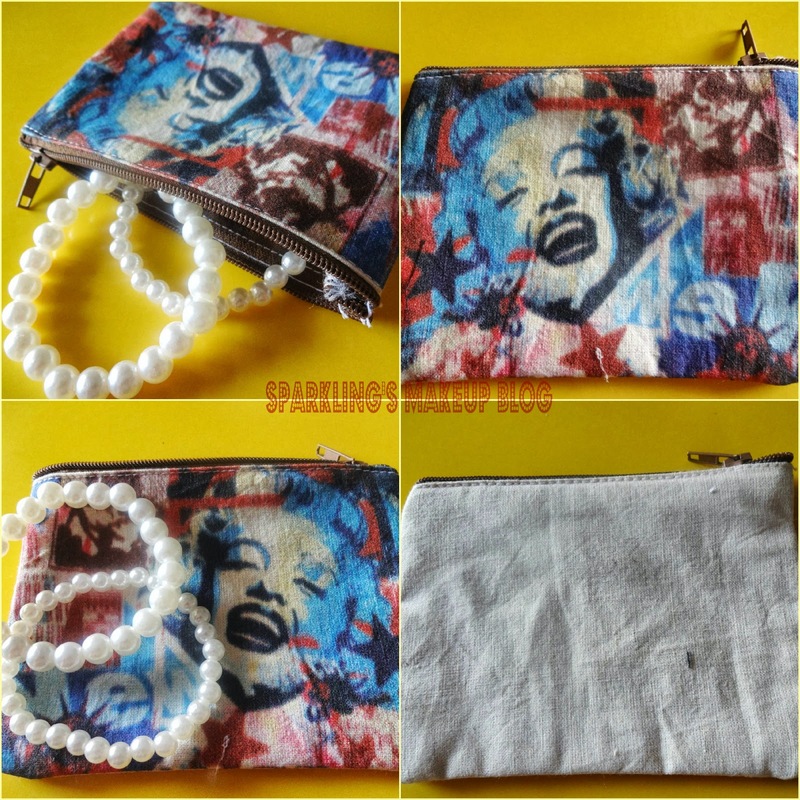 Marilyn Monroe New York Ease Bag is a handy bag, its a hand-size one can pop anything in it like USB, Coins, Cell phone, Hand sanitizer, mini hand lotion, face wash mini and even lipsticks... lolz I will be keeping my Lipstick in it for sure. If you have a BIG Tote bag for your Uni/office you'll be definitely wanting these little beauties to organize your little stuff. 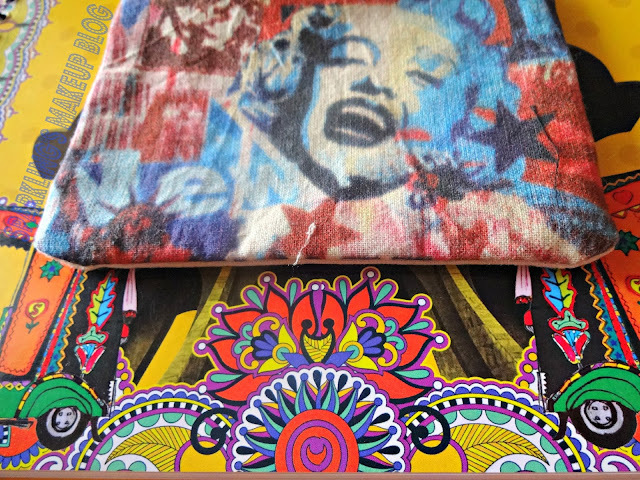 The material is canvas, It has a zipper, which unfortunately the zipper is not neatly stitched and give a rough look to the whole beauty, I hope this will be noticed and corrected. The rest is fine and a beauty for sure. Worth: Pkr 500/- available in many classic and Elegant styles. 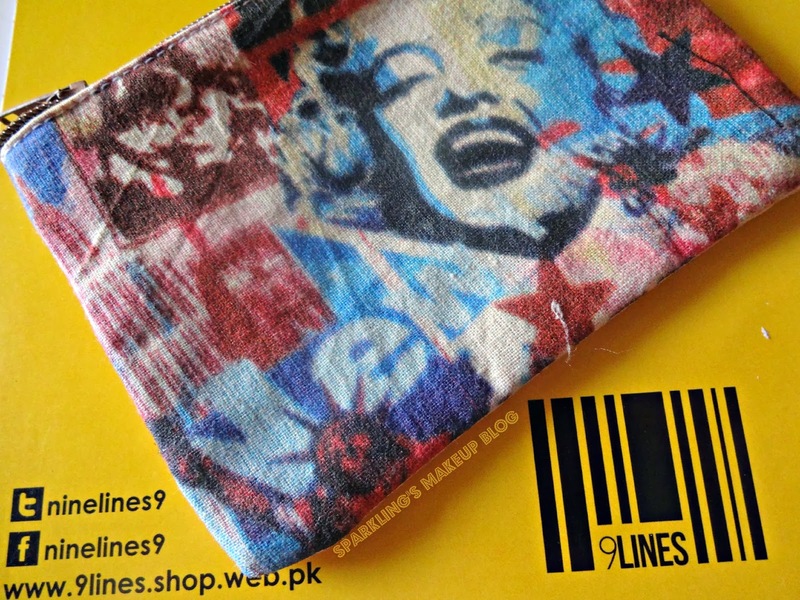 9Lines has many accessories, apparel and stationery options do join them on Facebook & order from 9Lines' Website, they offer free delivery all over Pakistan, with Cash on Delivery option, what else do you want? A Stationery Crazy heart like mine! Hope you like this colourful unique post ft, 9Lines. Do share your views, comment, share, like, tweet, G+ and Pin IT. Stationary: when something is still, not moving.